Over the winter months (September- March), we will be running sessions at Wales National Velodrome in Newport. A SQT session will be as per previous years which is ran alongside other cycling groups from the Somerset area. The sessions will cater for novice and riders with previous velodrome and bunch riding experience. To take part in the SQT sessions you should be at least 12 years old and have gained at least 6 hours of bunch track cycling experience from previous sessions. To book your place you simply use the PayPal button at the bottom of this page. This year all payments must be made Via Paypal ONLY! Riders turning up with Cash on the day will not be accepted. The cost of the session's are £12 per rider for BCDS members, If there are sufficient spaces left we will offer this to "friends of the club" at £20 per rider (non members). Club sessions are cheaper but the sessions are a little shorter. Riders wishing to take part will need to bring a fixed wheel track bike, Helmet and gloves. NO RIDER WILL BE ALLOWED ON TRACK WITHOUT GLOVES! Track bikes can be hired from the velodrome at around £10 per bike and come fitted with toe clips or Look KEO system, The fleet of bikes were recently upgraded and pedals have been switched from Look Delta you are not allowed to change the pedals. 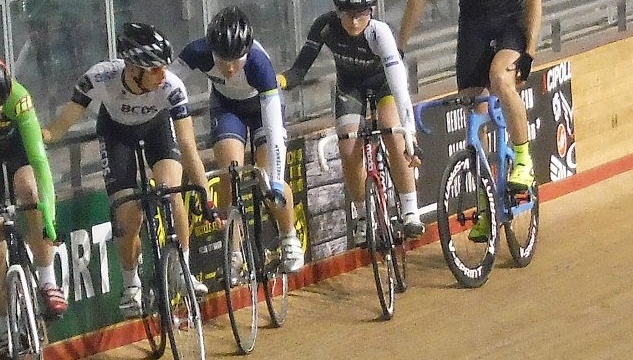 a small selection of gloves can be purchased from the velodrome or the nearby Halfords. Further dates will be added once confirmed with Newport so please check back for more updates in the page below. All Sessions will run from 9-11 am unless otherwise stated. To book a place riders must pay using the Pay Pal button below using the appropriate drop down option.